Boog House Hotel // Cook Islands, Rarotonga, Surfcamp accommodation, French Polynesia. From Eric Gamez. Boog House Hotel // Cook Islands, Rarotonga. Surfcamp accommodation, French Polynesia. From Eric Gamez. Some Cook Islands magic, filmed over one day in Raro with Eric Gamez from the Boog House. From Elliot Williams. Santiago Sanchez of Necochea, Argentina charging HARD in this recent clip filmed in Tahiti and the Cooks. 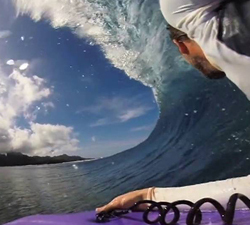 A new clip from Daniel Orihuela starring Nestor Pérez Herrera and Moi Dorta on a tour of America and the Cook Islands. More action from Eric Gamez and his Cook Islands retreat. Music: Stance Gives You Balance by Hogan Grip. More fun tropical peelers with Javier Blanco and the Chloroformo Bodyboarding crew in the Cook Islands. Some action from Cook Islands, Rarotonga. 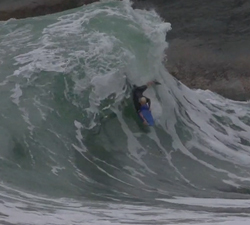 Footage by Sam Benson. Riders: Elliot Williams, Aratoa Mana and Eric Gamez.